What is the best kind of paint to use in a Rental Property? ForumsArrowMarketplaceArrowWhat is the best kind of paint to use in a Rental Property? There are so many different paint options out there. 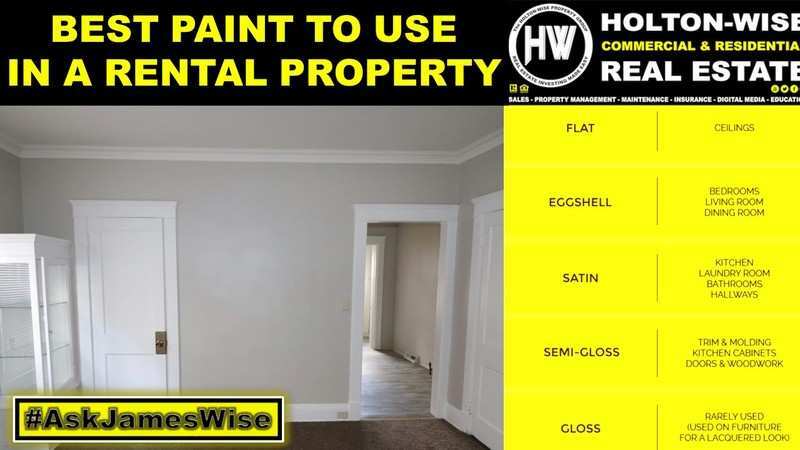 What is the best type of paint to use in a Rental Property? Is there a difference between painting a rental property & painting your own home? What is the most popular paint color? Should you use feature walls in your properties? CLICK HERE to see my thoughts! Respectfully disagree on satin on all the walls, unless the walls are pristine to start with. The whole point of using lower sheens is to cut down on the amount of light reflection, which is what telegraphs flaws in the first place. That's why flat paint looks good on ceilings, which tend to be the worst finished of all drywall surfaces. Satin is certainly better than using semi-gloss on the walls, that's for sure, but I use eggshell on all wall surfaces. I used to be for flat on all wall surfaces, but the eggshell has become so good that it hides almost as good as flat and can be touched up without being obvious, but also can be lightly cleaned which is sometimes all a wall needs. On a side note - neat video! Eggshell & Satin are pretty similar paints. So going with an Eggshell everywhere isn't the end of the world. However the reason Satin is preferable to eggshell is that it's more durable & easier to clean.